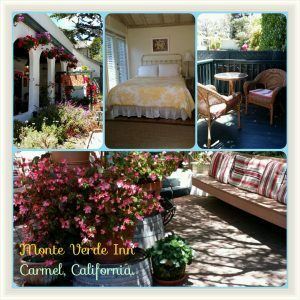 During our trip to Carmel, California we stayed at the Monte Verde Inn. I researched a lot of lodging options in both Carmel and Monterey well in advance of our trip. I always look at Trip Advisor for reviews but sometimes you just can’t believe them all and some people are just plain picky. We are pretty easy going so not much bothers us. I was drawn to this bed and breakfast because of their social media activity to be totally honest. I was also impressed with their summer special deal I found that they were offering on Facebook. Pay up front and get your room at HALF price was the offer for the time frame we were staying. 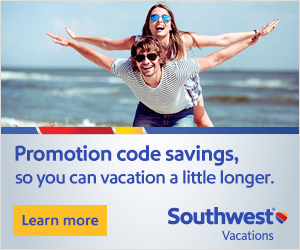 What a deal. As you’ll notice they have quite the variety of unique rooms. We stayed in Queen Room 9 and absolutely loved it. The room had a skylight and french doors that opened out to a mini deck. It was a very small (read tight quarters) but a cozy room for two. There was no air conditioner but they had a fan! 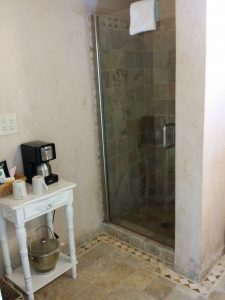 The bathroom was very spacious and they had robes and nice bath soaps. There was also a refrigerator and even a bottle of Sherry. They had a breakfast basket which included pastries and yogurt plus orange juice. In the video I had seen before we went, it showed hard boiled eggs but we didn’t get those in our basket. I was pretty bummed about that because I didn’t eat the other items but Kev enjoyed them. The door to our room opened like a horse stall where you could keep the top open and enjoy the breeze while the bottom of the door stayed closed. Our room faced the beautiful courtyard. It was so pretty out there with white lights hanging from the trees, cushions and pillows lining the benches and chairs and the relaxing sound of a water fountain. I enjoyed writing out there. They also had wine tasting/appetizer gatherings out there but we never attended those since we were always on the go. The parking there was a bit tight but thankfully we didn’t have to leave much. Carmel, CA is the perfect town to walk everywhere. It was so quiet and peaceful. Just what we needed. They also have another bed & breakfast across the street called Casa de Carmel that looks more like a mini motel. Here is a video you might enjoy from them. And you can find the Trip Advisor reviews I mentioned above for the Monte Verde Inn here. 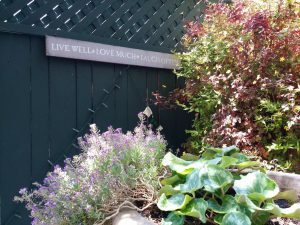 There is a lot to do in Carmel which we’ll go into in another post. The Carmel, CA Monte Verde Inn is close to a variety of activities like 17 Mile Drive, Big Sur, Carmel Beach, Carmel River State Beach, the Monterey Bay Aquarium, Fisherman’s Wharf Monterey and much more. We went to Monterey from there for a whale watching tour and to have lunch at Fisherman’s Wharf. It was so easy to get to and not far at all from the Monte Verde Inn. From the beginning, Ashley who works the front desk and does their social media was awesome. She was always helpful and very personable. We would highly recommend this bed and breakfast and would stay there again if we have the opportunity. We stayed here a few years back when we drove up the coast. It’s a wonderful little place. Hi Carmen, thanks for your feedback. Glad you ya’ll enjoyed it too.